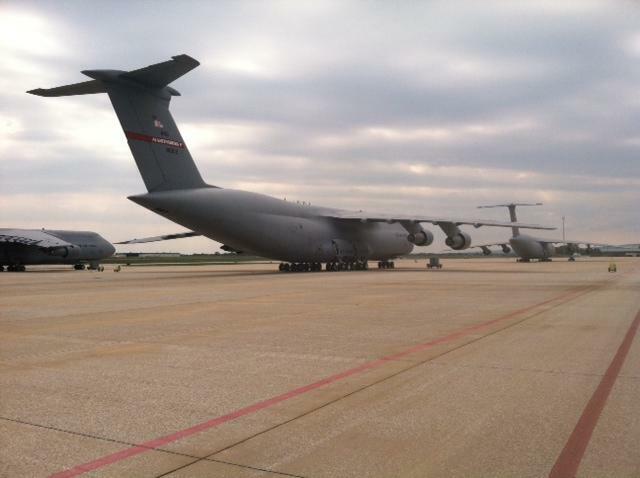 Remaining C-5s at the 16th Airlift Wing. Thursday, September 25th marks the end of an era for the 167th Airlift Wing in Martinsburg. The National Guard unit is getting the first of eight C-17 aircrafts, which will eventually replace the 11 C-5s that have been on the base since 2006. This transition comes at a price. About 160 fulltime positions are going away, but the West Virginia National Guard is trying to help the people affected find other jobs. Senior Master Sergeant, Lee Deyerly spends his days as a flight engineer on the C-5 aircrafts, but soon he’ll be climbing into a new plane. “The C-5’s like a 1968 model aircraft, and the C-17s are much newer than that, so with that it’d be the equivalent of driving an older car or an older RV and getting into a newer RV,” noted Deyerly. And this new model doesn’t need as many workers. Deyerly’s position will go away after the switch to C-17s. In some ways, Deyerly feels like he’s throwing away those two years of training. The 167th Airlift Wing first learned it was losing its C-5s in 2012. The Air Force had decided to retire many of the planes at bases across the country. This isn’t the first time the 167th has switched aircrafts. Prior to the C-5s, the base flew C-130s from 1972 until 2005. Sergeant Deyerly worked on the C-130s. He says it’s always bitter-sweet to see a plane go, but a recent experience helped him get excited about his new job as a loadmaster on the C-17s. In October, he’ll head to Oklahoma for four months of re-training. Many of Deyerly’s colleagues who worked fulltime on the C-5s are also being re-trained. Others are re-locating to bases that still have C-5s, or moving to new jobs on or off the Martinsburg base, or simply retiring. But about 40 more people could be without fulltime jobs when the last C-5 leaves the base in March. 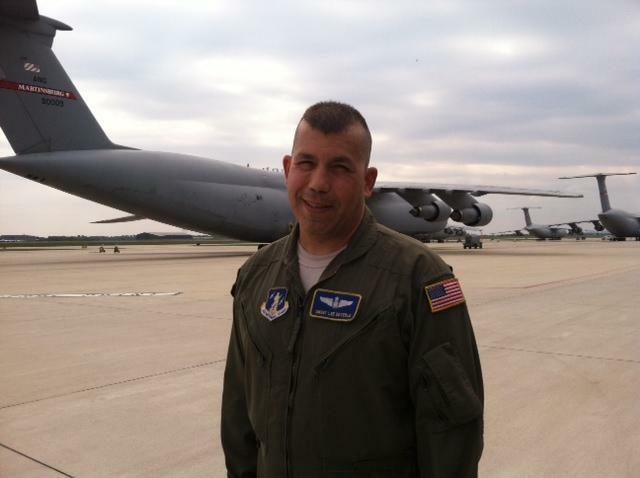 Colonel Shaun Perkowski is the commander of the 167th Airlift Wing. Base personnel seem unsure how many part time positions will be lost, but Colonel Perkowski hopes the West Virginia National Guard can help all the affected workers find other positions by the time the final C-5 leaves. He is glad the base is getting the newer C-17s. Senior Master Sergeant, Lee Deyerly and his crewmen will be taking one last flight in a C-5 today. They’ll be delivering it to an Air Force storage and maintenance facility commonly called “the boneyard” in Arizona, where it will be recycled. “The entire section of engineers that are still here, we’re all going to get on it, and…on the C-5 and do our final flight together as a section," Deyerly said, "So it’ll be a kind of a nice, a nice send off for the airplanes." Deyerly says that final flight will be reminiscent of his last flight on a C-130, but he’s happy to still have a fulltime job on the next aircraft. For about 40 of his colleagues, the future isn’t as clear.